The other day I was sitting in a coffee shop reading Trevor Jalland, The Life and Times of Pope St. Leo the Great (as you do), and he mentioned the fact that Rome’s most ancient churches are all western oriented. That is, when you walk in and look towards the altar and apse, you are facing West, not East. At first, I didn’t believe Jalland. I had been told that all traditional churches face East — and, taking stock of a few I know (St Giles Cathedral in Edinburgh, the Duomos of Milan and Florence, Westminster Abbey, Jedburgh Abbey, Ayia Sophia in Nicosia), this is broadly true. Then I thought about it and realised that Jalland was right — St Peter’s, St John’s (Lateran), Santa Maria Maggiore, Santa Cecilia in Trastevere — these churches, two in place of fourth-century foundations, one fifth-century foundations respectively, all face west. This isn’t the sort of thing one says and is wrong, of course. Still, I was a bit taken aback. You see, there is a bit of controversy about ‘facing East’ and ‘facing West’, liturgically speaking. Regardless of the compass points at your church, if your priest faces liturgical East during the celebration and consecration of the Eucharist, then you and the cleric are facing the same direction (sometimes called ‘facing away from the congregation’). If your priest faces you, that is facing liturgical West. Until Vatican II, most churches faced East — all in the same direction — and now, outside of the Eastern communions, only a few scattered congregations maintain previous practice in this regard. Elsewhere, I have heard the reference to facing East because the rising sun symbolises the resurrection and Christ’s return in glory. Another argument in favour of the practice is the idea that priest and people are praying together, so they face the altar together. What does the western orientation of ancient roman churches mean, then? According to Jalland, the priests would still have faced East. Thus, they would have faced the congregation, facing, in contemporary terms, liturgical West. This changed, he says, when the Via Ostiense and local topography forced them to build San Paolo fuori le Mura facing East. This is the first eastern-orientated church in Rome. The priest continued to face East, but now, so did the people, so they all faced the same direction, the priest with his back to the congregation. I don’t know how true or accurate this is — Jalland gave no references for how we know which way people faced, and his book is from 1941. I do imagine, based upon what I’ve read in J Richards, The Popes and the Papacy in the Early Middle Ages, that facing East, if it is as common in the East as we imagine, would likely have become more and more common after Justinian’s mid-sixth-century Reconquest, when the Roman liturgy took on a variety of Greek influences, often because of a growing Greek population in Rome and Greek clerics (sometimes refugees from eastern problems) in the city. It is certainly the case that San Teodoro and San Lorenzo fuori le Mura, both sixth-century foundations, face East, as does Sant’Agnese fuori le Mura, a seventh-century construction. Anyway, it is interesting to think about how architecture, theology, and liturgical practice can all influence one another. On Sunday, I took the opportunity to visit the Basilica di San Clemente, just a few minutes’ walk from the Colosseum. It is a gem, well worth visiting; the upper church, the main basilica, dates to ca. 1100 (after the old one got trashed by some Normans* [typical behaviour on their part]). It is built on the basilica plan I discussed here and has some lovely frescoes as well as a sixth-century schola cantorum down the middle, not dissimilar to the fourth-century one at Santa Sabina, and a few sculptures to be admired. After viewing this lovely upper church, I bought some postcards and a ticket to visit what lies beneath. Beneath 12th-c San Clemente lies 4th-c San Clemente. After the Norman troubles of 1084, it was filled with rubble to form the foundation of the new church, and you can clearly see that the low, vaulted ceiling is not original, not least because the frescoes all end partway up. The frescoes depict scenes from the life of Saint Clement (saint of the week here) as well as some other folks and Sts Cyril and Methodius (saints of the week here) who brought St Clement’s (alleged) remains home to Rome. These frescoes are Romanesque, not Late Antique, though (although the architecture is fourth-century), dating to the ninth century. The lower church is wider than the upper church. Below it you will find a Roman house (possible storage facility, in fact) and a Mithraeum. Sadly, I could only view the Mithraeum through bars. Alas. These were filled with rubble to serve as the foundations for the basilica in the fourth century. San Clemente operates on a pattern. It was a most exciting event to visit a fourth-century basilica, no matter how low-ceilinged and dimly-lit. 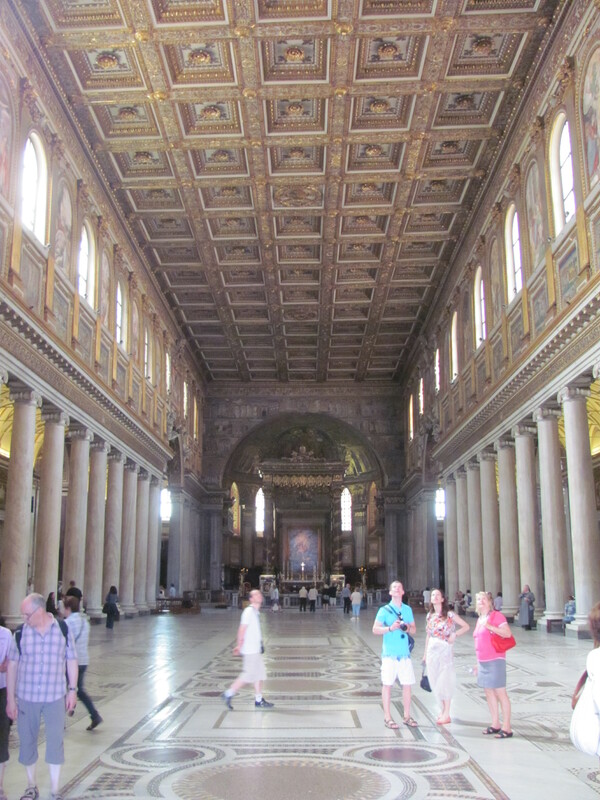 The earliest I’d yet visited were fifth-century basilicas such as Santa Sabina and Santa Maria Maggiore. 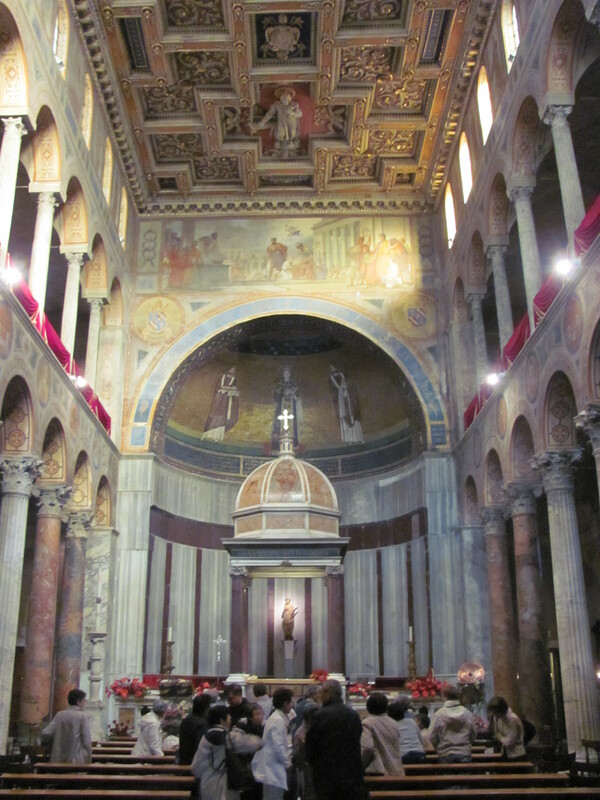 There is an elegance and simplicity to these oldest church buildings in Rome. A church to Saint Clement is mentioned as early as St Jerome, and it is assumed it is that fourth-century building down below. I highly recommend San Clemente — it even ties (marginally) into my research, as my next post will show! *In their defence, they were in Rome to support the pope. I am in Rome for about a month, starting earlier this week. One my wild research trips. 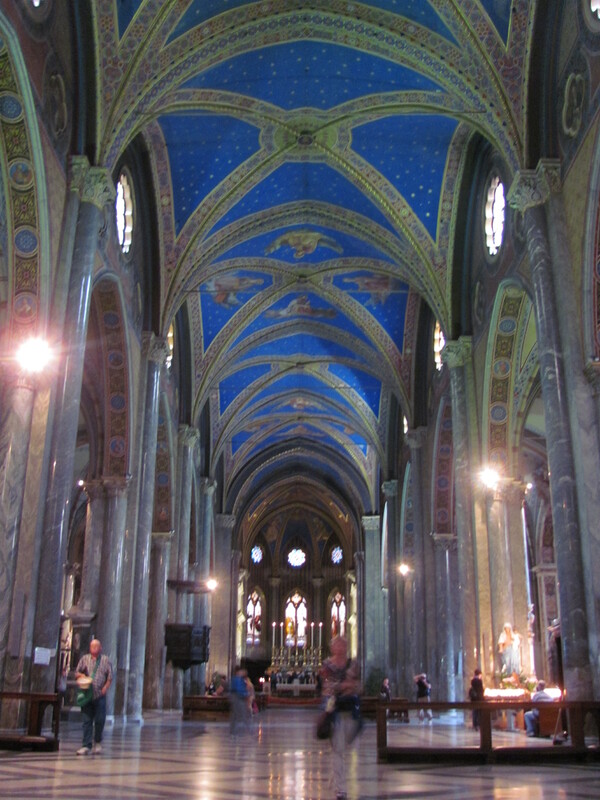 Two days ago, I went into the church of Santa Maria Sopra Minerva — Rome’s only Gothic church, run by Dominicans. 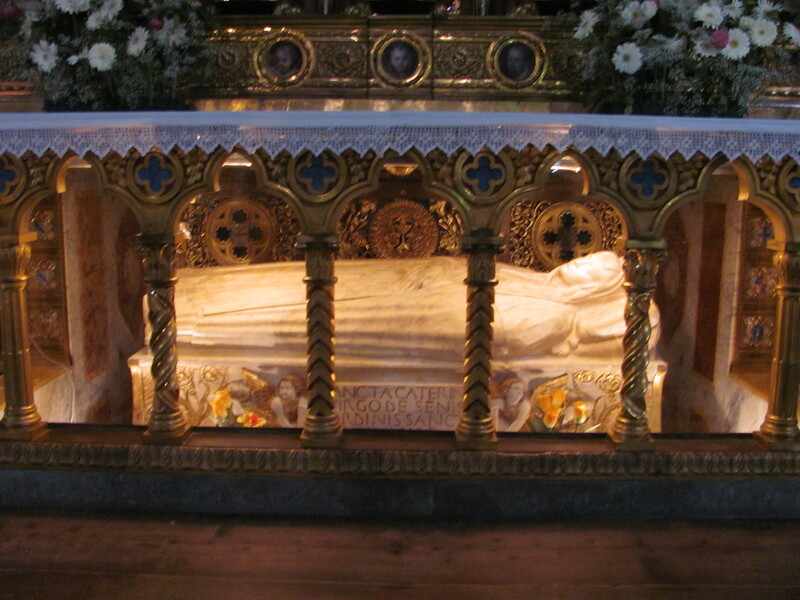 While there, I saw the tombs of St Catherine of Siena and Fra Angelico. Because of my week in Florence, I am already well-acquainted with Beato Angelico, but St Catherine of Siena? Merely a name. So I downloaded a (somewhat garbled) copy of her ‘Dialogue‘ onto my Nook eReader and have been perusing the works of the Sienese saint. The first section was essentially all about the necessity of persevering at prayer, and how God makes himself known to us through prayer, and that we need to clear our minds to pray. I like the image of humility as charity’s foster mother and nurse. 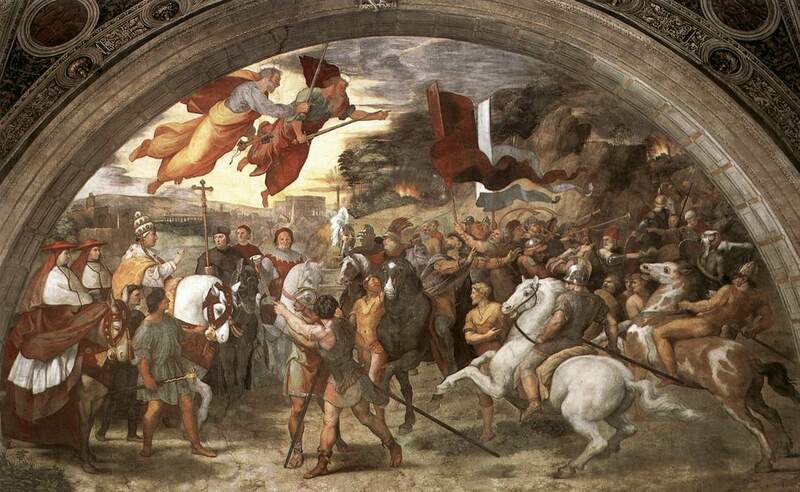 Every once in a while I think about charity, and not just because Leo the Great has a habit of addressing people as tua/uestra caritas, but because charity, as understood properly, is one of the great theological virtues. We have stained the word with the idea of our cast-offs, our unwanted things for unwanted people. In that famous ‘sermon’ he gave to George W Bush a few years ago, Bono said that what Africa needs from the West is not ‘charity’ but ‘justice’ — a mere tithe of the US Gov’t’s cash would ‘solve’ a lot of problems, says Bono. But is that justice? I’m not sure. Given that justice has both a restorative and retributive side, I don’t think Africa needs or wants justice. Africa, and everyone we meet, needs charity. It has been remarked (in the Friendship Book of Francis Gay one year, I believe) that when the translators of the KJV those long years ago needed a word to express the great, boundless, unfathomable, unconditional love of Almighty God, they chose charity, from Latin caritas, the word commonly used in the Latin Bible for agape — as in I Corinthians 13. Charity, in the Latin Christian tradition, comes to mean that supernatural love that can love the unlovely, moving beyond the bonds of mere affection or the uncontrolled/uncontrollable amor. It is, as C S Lewis observes in The Four Loves, to love the unlovely. To love the unloveable. It is a great thought. A powerful thought. One often left as mere ‘sentiment’. Lack of humility, I think. If I didn’t think I was better behaved, or too busy, or better educated, or too important, or in too much of a rush, or any of a hundred other comparatives that put me above others in one way or another, perhaps I would have more charity. So humility. It is a powerful theme that runs through so many of the Fathers and Mothers and spiritual masters of Christianity. Let’s hunt it down and get ourselves into it, into the foster mother and nurse of charity (and without charity, what am I?). The Liber Pontificalis makes this encounter with Attila pretty much the most important thing in Leo’s pontificate. And why not? Well, it certainly wasn’t a big deal to Leo, it seems. Indeed, if it weren’t for the fact that Prosper published the entry for 452 in 455, I would doubt that this ever happened. I would say that Prosper had made it up to glorify his great hero Leo (second only to Augustine for this Augustinian) or that Prosper, way over in Gaul, had been misinformed. I would say such because the evidence is a bit weak. Leo wrote eight letters in 452 that have come down to us, on 27 January, 22 May, 11 June, and 25 November. He preached an Epiphany sermon (Serm. 37), a Lent sermon (Serm. 45), two Holy Week sermons (Serm. 62 & 63), an Advent sermon (Serm. 19), and a Christmas sermon (Serm. 28). He seems to have been in Rome for much of the year. The trip to meet up with Attila must not have taken up a lot of time. 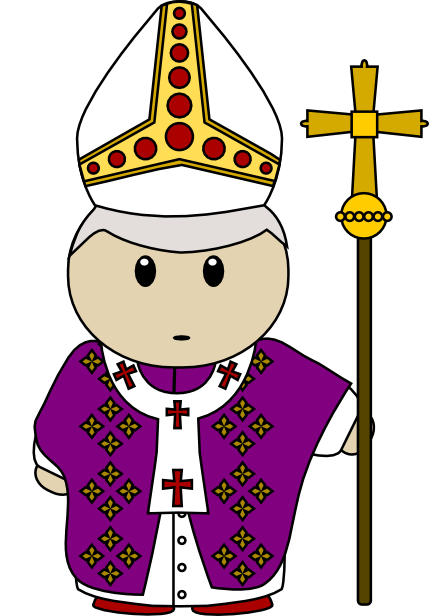 Leo’s episcopate lasted for nine more years after Attila left Italy. Leo wrote many more letters and preached many more sermons that have come down to us. In none of these does he mention an encounter with Attila. If Prosper is correct about this encounter, what does that say about Leo?